Worshippers increasingly live in fear. HYDERABAD, India (Morning Star News) – Christians in southern India are increasingly living in fear as the level of violence against them continues to rise, sources said. Church leaders submitted a written complaint, and police registered a First Information Report (FIR), but they said they have no indication that any action has been taken against the assailants. 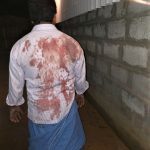 RSS members from Tamil Nadu’s Erode District on Sept. 2 stormed into a Sunday evening prayer service at a Christian’s house in the Chennimalai area. As the Christians had just moved into their new home, the gathering also included a house-warming party, a local resident identified only as Ponnaiyan told Morning Star News. Ponnaiyan said he has never been so disgusted. The next morning he notified political party officials, activists and Christian leaders, saying that the matter must be brought to Superintendent of Police Sakthi Ganesan, he said. With members of all political parties and the synod present, Ganesan showed little concern for the issue, he said. Pastor Nehemiah Christie, director of legislations and regulations of the Synod of Pentecostal Churches and ADF-India’s Tamil Nadu state coordinator, was among witnesses representing the matter to the Erode police official. Ganesan is the the same officer who registered a counter-case against a victim of attempted sexual assault against an Erode-based pastor’s wife, as reported by Morning Star News in July. Among southern states, Tamil Nadu alone has recorded 37 incidents of attacks against Christians, out of a total of around 170 reported throughout India in the first nine months of this year, according to ADF-India. ADF notes in its campaign celebrating the 70th anniversary of the U.N. Universal Declaration of Human Rights that it is sadly ironic that Christians are persecuted in a country with a long tradition and legal framework of freedom of religion. 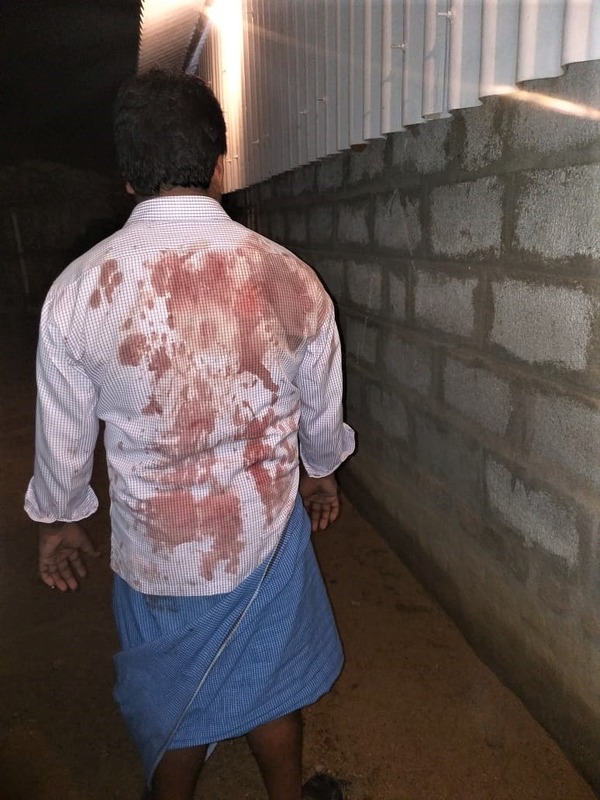 In Telangana state, a pastor visiting the site of his house under construction in Tadvai Mandal, Kamareddy District, was attacked by Hindu extremists from the RSS. The 49-year-old pastor on the morning of Sept. 10 received a call from a worker of the local electricity board who informed him that he would set up the house’s electrical wiring and connection. He had travelled about 25 kilometers (15 miles) to reach the site and was waiting inside for the line-worker, said the pastor, whose name is withheld for security reasons. They told him they would take him to the village council to ask about the construction and dragged him to the council office, he said. Not finding the council president, they telephoned him and asked about permission. “They punched me in my stomach and back at the council’s office, and then they brought me back to the construction site,” he said. The four assailants, all in their mid-30s and identified as Mudaam Narsimhulu, Srinivas Reddy, Raghava Reddy and Padaganti Rajeshwar, forced the pastor to demolish the walls of his house, he said. He told the officers that he had documents showing that he had secured permission and that the construction was legal, and Tadvai police booked the four assailants for attempt to murder, public nuisance, voluntarily causing hurt, causing hurt with dangerous weapons, mischief causing loss or damage of over 50 rupees and promoting enmity between classes under the Indian Penal Code. Within 10 days, the attackers were released on bail, he said. The Kamareddy Regional Pastors Association (KRPA) reported the attack to the local member of the legislative assembly, he said. “He assured us that the matter will be taken seriously, but later we found out that the elected member is a close associate of the assailants and was trying all means for their bail,” he said. A KRPA leader said those accused are the same RSS members who attacked pastor Steven Paul about six months ago, also in Kamareddy District.